In the end it takes just two things: A leader with compassion and vision, and a community prepared to care more about the common good than individual rights. 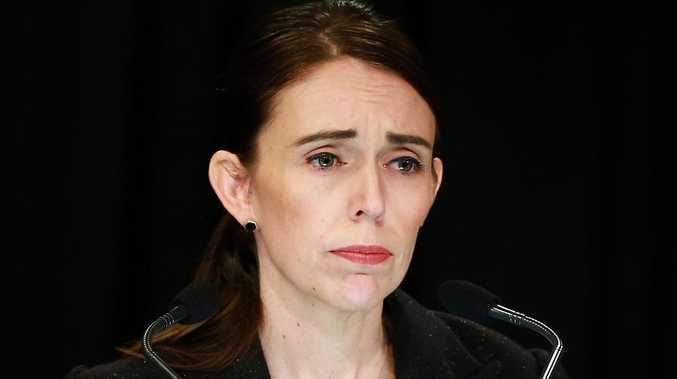 When New Zealand's Prime Minister Jacinda Ardern instituted new gun laws after just one week and one massacre, she not only showed what could be done but what should be done. That America, after decades of debate and thousands of deaths, can't act similarly to ensure peace and safety shows what a morally deficient nation it continues to be. America, it shouldn't be so hard. What Australia and now New Zealand have done in the face of gun massacres shows the world how a civilised country responds to a threat not just to lives but social cohesion. It also throws into stark relief that for all our so-called shared beliefs and ideals, America might as well be another planet. Their constitution, their mindset and their sense of what sort of nation they want to be are drastically in need of radical reform. To borrow from Ardern: They, sadly, are not us. Of course, they've tried. President Obama broke down in tears in 2016 at his own powerlessness when his gun reform laws were blocked by a resistant senate. Three years earlier, after the deaths of 20 "beautiful little kids" and six adults at Sandy Hook Elementary School he was convinced change would happen. "I believe we're going to be able to get this done," he said at the time. "Sooner or later, we are going to get this right. The memories of these children demand it. And so do the American people." It is now "later" and still nothing has been done. It turns out that the free world is not free at all. The world's most self-satisfied nation is imprisoned in a time warp dating back to the War of Independence when America was a ragtag bunch of communities full of individualists suspicious of all government interference. The right to bear arms was enshrined in their constitution. In essence, it was every man for himself. These days, the US is a military powerhouse that could knock over the world with one arm tied behind its back. The citizens don't need to bear arms anymore. Smart, progressive societies know that real power and strength is derived through tolerance, diversity, unity and a collective vision. Our country gets it. New Zealand gets it. As Ardern told the United Nations General Assembly last September, if there was one concept her country was pursuing it was "kindness". That and collectivism, she said, were the antidotes to isolationism, protectionism and racism. You only have to watch Australian comedian Jim Jeffries' evisceration of the US gun culture in his stand-up show in Boston a few years ago to be in no doubt that there is a sickness in American society that allows this deadly travesty of a gun culture to continue unchecked. How can America be expected to be taken seriously on any issue when they are so blind to this cancer in their own backyard? The names roll off the tongue far too easily: Las Vegas, Orlando's Pulse nightclub, Virginia Tech, Sandy Hook, Marjory Stoneman, Columbine. And every time families are broken by the loss of their loved ones we question how one organisation, the National Rifle Association, can hold the most powerful country on earth to ransom. 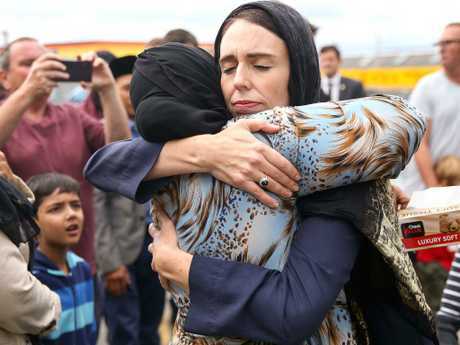 "New Zealand Response to Massacre Puts us to Shame," The Philadelphia Inquirer pointed out in its editorial this week, remarking that Ardern's quick action was "inspiring". "It is refreshing to see a leader shaken by a mass shooting and immediately work to prevent such horrific violence from happening again," the editorial continued. "But Ardern's response is the norm. It is the lack of response from American leaders that is the outlier." In the end, though, it cannot just be the work of prime ministers and presidents. The people have to care enough to change. As New Zealand farmer John Hart tweeted in his response to the Christchurch shooting: "Until today I was one of the New Zealanders who owned a semiautomatic rifle. On the farm they are a useful tool in some circumstances, but my convenience doesn't outweigh the risk of misuse." Only when Americans similarly value compassion over arrogance will change occur. It seems breathtakingly simple - life over guns. How long will it take until they get it? News Desley Pearson had been attending the Marburg dances for over 30 years when she injured herself at work and was unable to walk.